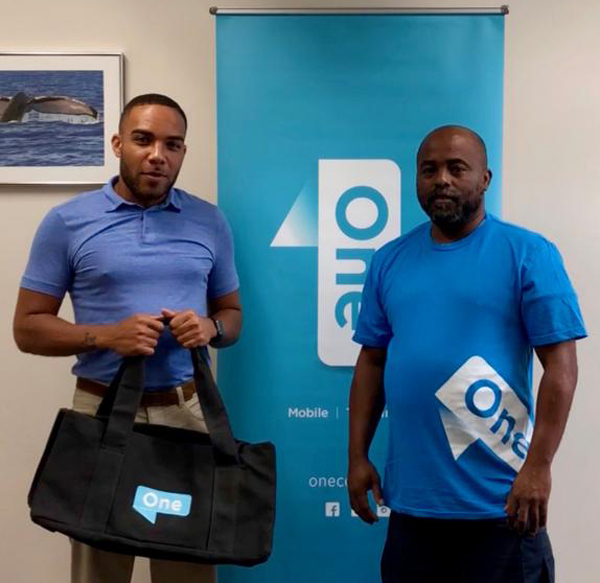 One Communications and the Bermuda Cricket Board [BCB] announced that the First Division Player of the Week is Dennis Williams of Devonshire Recreation Club. 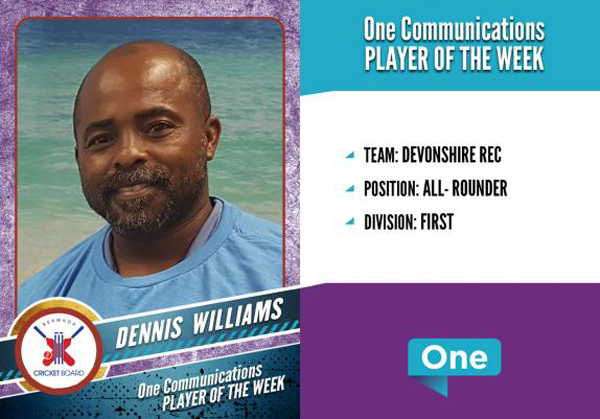 A spokesperson said, “One Communications and the BCB are pleased to announce that the One Communications First Division ‘Player of the Week’ is Dennis Williams of Devonshire Recreation Club. “In the low scoring match against Warwick, Dennis played a key all-round role scoring a valuable 14 runs off 10 balls including 2 four’s and a crucial spell of bowling taking 3 wickets for 5 runs.